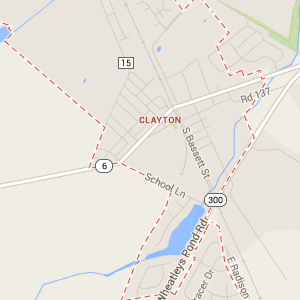 We are the Leading Roofing, Siding & Replacement Windows Source for Clayton DE! Clayton DE, located in Kent and New Castle counties, boasts some 3,000 residents and several spots that are listed on the National Register of Historical Places, such as Clayton Railroad Station and Enoch Jones House. Help maintain the historical value of your community with help from us!From minor repairs to extensive renovations, Homecraft® Inc. is known throughout the Clayton community for delivering the best in craftsmanship, materials and products. We are proud of the fact that we give you one-on-one attention for peace of mind every time when it comes to siding, window replacement, doors, gutters, and roofing. There’s nothing we can’t do to improve your home. We are the most widely chosen company for home improvement services in Clayton DE, providing you with everything from siding and window replacement to roofing and gutters. Our door installation pros can craft you a new entryway with weather-resistant storm doors that shield your home from wind and rain. Consult with Homecraft® Inc. for durable entry doors so you can welcome your visitors in style. The doors on your home should provide an open welcome for family and visitors alike. For new doors in Clayton DE your best choice is Homecraft® Inc. We can design a brand new entryway with a rugged, durable entry door; replace a balky old patio door with a smooth-operating new sliding door; add a weather-resistant storm door to protect your home; or even replacing your rickety old garage door with a beautiful new automatic door. It’s no wonder we are among the leading door companies in Clayton DE! We make it a point to give you options when it comes to siding, whether you’re looking for cedar shake siding or vinyl siding in your town. Homecraft® Inc. You can decide between the traditional look of cedar shake siding to match the look and décor of your frame-built or Victorian home, for example. Other options include quality vinyl siding for a beautiful new look with no maintenance called for. Were you aware that we offer you the country’s highest quality roofing systems, backed by the “Golden Pledge™” warranty protection? Trust us, you will sleep more soundly under a Homecraft® roof! Installing cheap materials or hiring inexperienced contractors for your Clayton DE roofing system is never the right way to go. Instead, make us your trusted GAF MasterElite™ roofing contractors. Gutters from Homecraft® Inc. can stand up to the demands of the weather. As you know, any good roof should be paired with well-designed and properly installed gutters to properly divert the flow of water off your roof and away from your home. It’s our job to keep your home safe from water damage, so rely on Homecraft® Inc. for your next gutter system. Home improvements add value to your house, making for a solid investment that will pay off down the road. Whether you need a bigger garage or want a nice sunroom, you can get peace of mind when it comes to making wise home improvements. FREE Estimates on Clayton DE Home Improvement, Windows, Doors, Siding or Roofing. Call Homecraft®, Inc., today at 1-877-494-0377 to schedule a FREE in-home consultation and estimate for your Clayton DE home improvement project, roofing, siding, replacement windows, doors, or gutters.